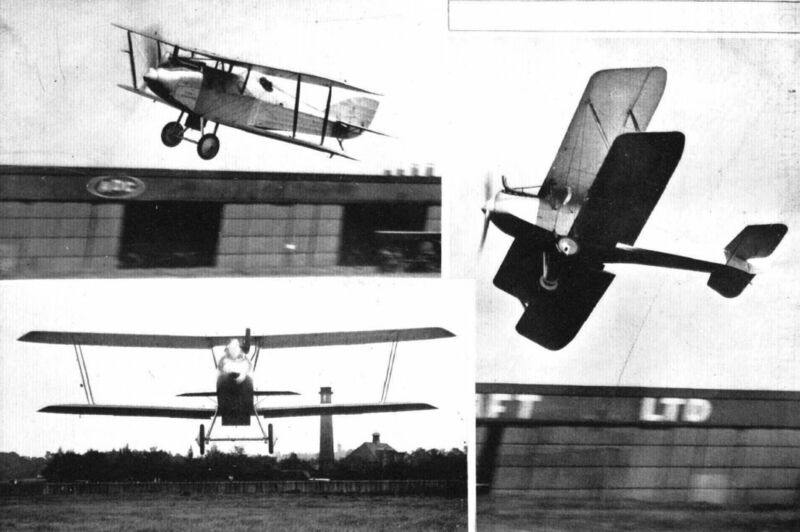 A LIFE-SAVING DEMONSTRATION: M. Navarre making a parachute descent into the Welsh Harp, Hendon, from a D.H.9, piloted by Mr. Alan Cobham. Inset: The airman, wearing an Evans buoyant suit, and the parachute in the water. THE R.A.F. CAIRO - CAPE - CAIRO FLIGHT: This photograph shows the four Fairey machines with Napier "Lion" engines being refuelled with "Shell" at Johannesburg. 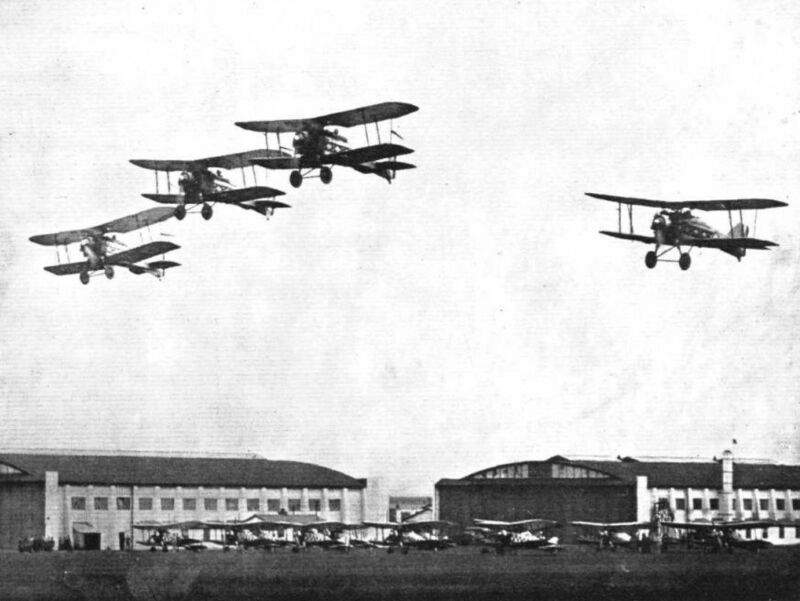 HOME FROM THE CAPE: Commander Pulford's squadron arrived at Lee-on-Solent on June 21 after having successfully flown from Cairo to the Cape and back, continuing on to England. The total distance covered is approximately 14,000 miles. 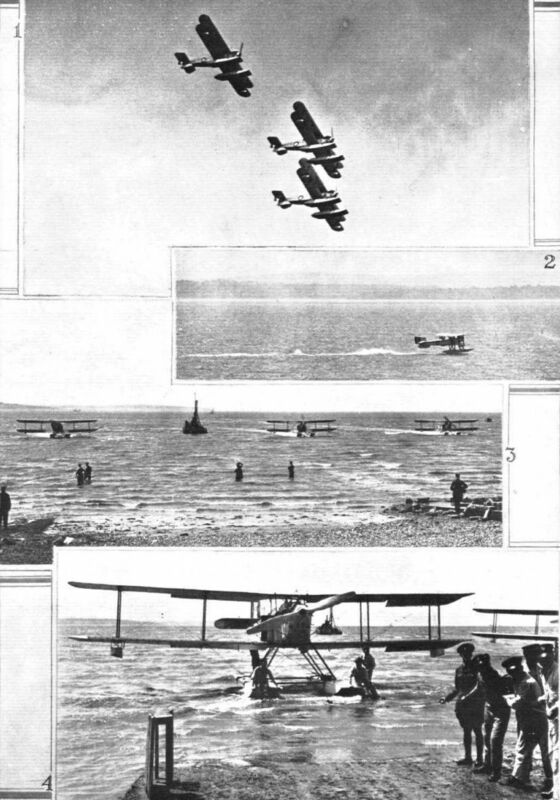 In 1, are seen three of the four Fairey machines arriving over Lee-on-Solent, while in 2, one of the machines is seen touching "home waters," 3 shows three of the machines taxying up to the beach, while in 4, willing hands are beaching Commander Pulford's machine. AN AERIAL WEEK-END: We show some photographs taken during Col. the Master of Sempill's and Mrs. Sempill's Whitsun tour of 800 miles in a D.H. "Moth." 1. Wheeling the "Moth" up the beach at Borth on the Welsh coast. 2. Folding its wings at Borth prior to being housed in an hotel garage. 3. Lord Portsmouth receives his visitors at Morchand Bishop, Devonshire. 4. A farmyard inhabitant at Morchand Bishop ignores the "Moth." 5. How the "Moth" spent the night at this Devonshire farmyard. FOR THE R.A.F. DISPLAY AT HENDON: This three-quarter front view of the Fairey "Firefly" shows this machine to be the logical development, in single-seater form, of the Fairey "Fox." The engine is a Fairey "Felix." This machine is probably the fastest single-seater fighter in this country at the present time. 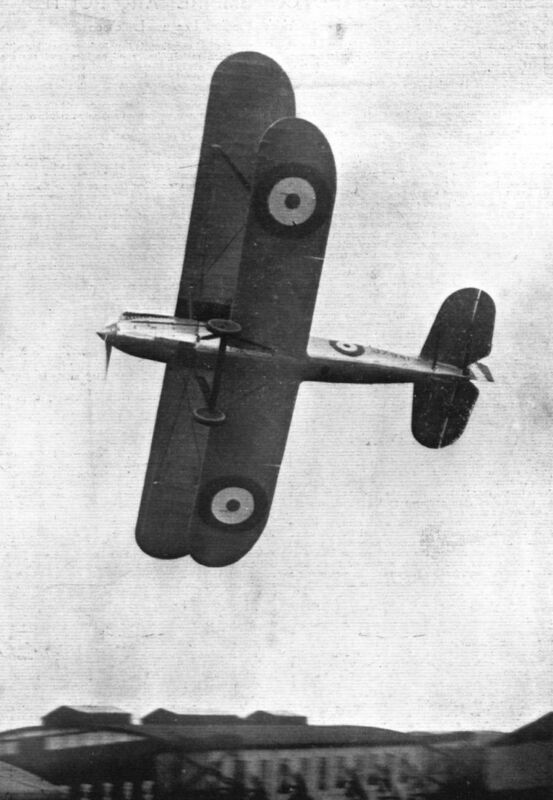 "THROWING IT ABOUT": Captain Norman Macmillan making a nearly-vertical turn at low altitude on the Fairey "Fox." 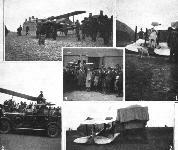 THE FLYING FOX: Four views of the Fairey "Fox" in various aspects. The front view particularly illustrates the small frontal area of this machine. 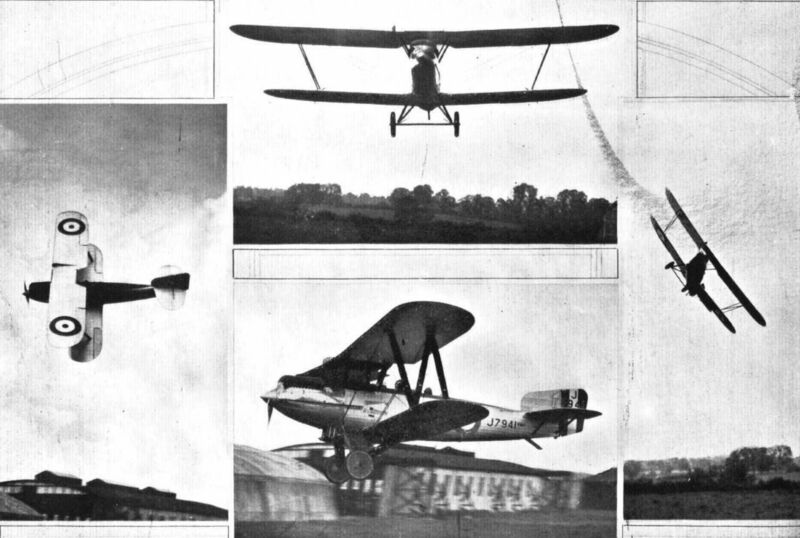 When these photographs were secured the "Fox" was piloted by Captain Norman Macmillan, the Fairey Chief Test Pilot. 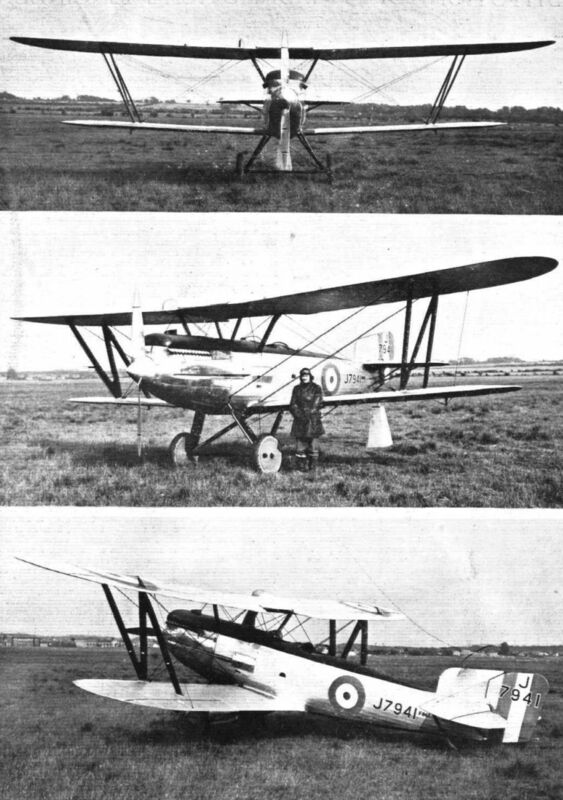 R = KSV2:These three views of the Fairey "Fox," with Fairey "Felix" engine, give an excellent idea of Mr. Fairey's interpretation of the fundamental formula quoted at the beginning of this inscription. In the case of the "Fox," S is certainly small, K is probably very small, with the result that R is also small, and V quite perceptible. U.S. AIR MAIL SERVICES. C.A.M. No. 1. - The Fokker "Universal" (American-built) monoplane, with 200 h.p. Wright "Whirlwind" engine, one of the types of aircraft to be employed on the Boston - New York Air Mail Route. 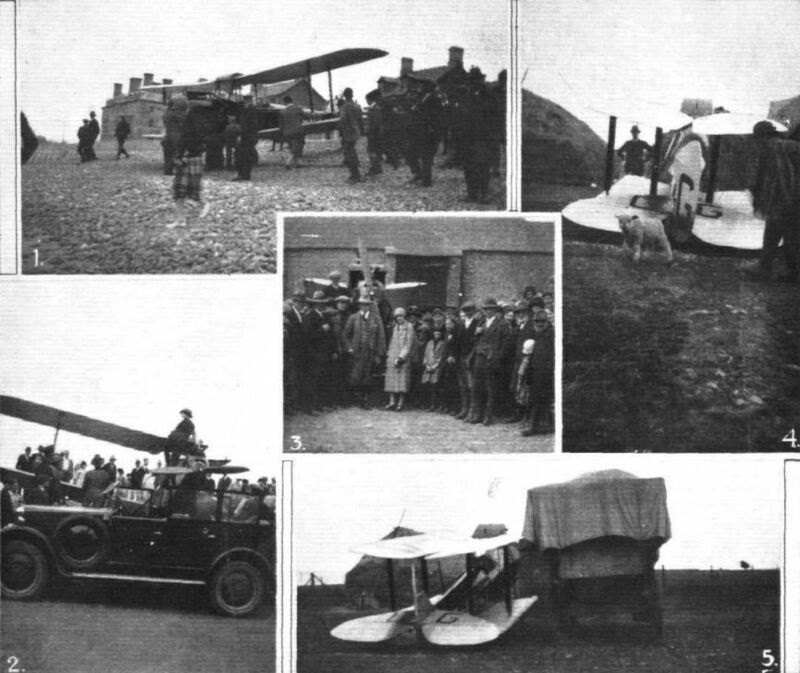 1,530 miles in an Avia light 'plane: Mr. Lhota and the Avia B.H.11 monoplane (60 h.p. 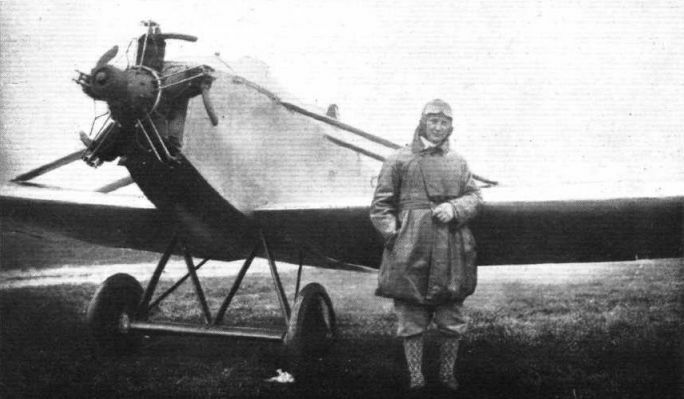 Walter engine) - a Czechoslovakian combination - on which he flew about 1,530 miles from Bucharest to Prague, with a passenger, in 18 hrs. 20 mins. flying time. 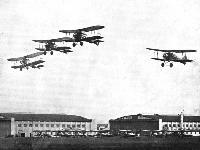 PRACTISING FOR THE PAGEANT: A formation of Gloster "Grebes" with Armstrong-Siddeley Jaguar engine, setting out for a low-bombing contest at Duxford aerodrome. 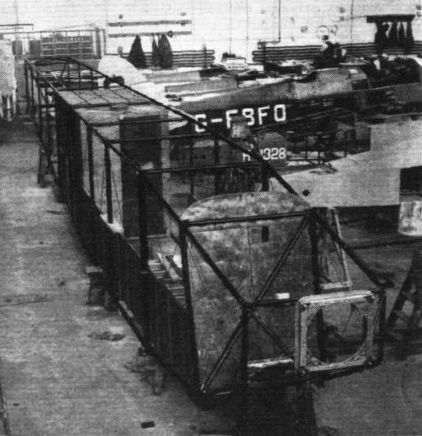 THE D.H.66: Three-quarter front view of the fuselage in skeleton. The main structure is of steel tube, and cabin, luggage compartment, etc., are in the form of "boxes" of three-ply, slipped into the main structure. THE D.H.66: The mounting for the central engine is extremely neat and simple. The engine plate is made of Duralumin and is very light. 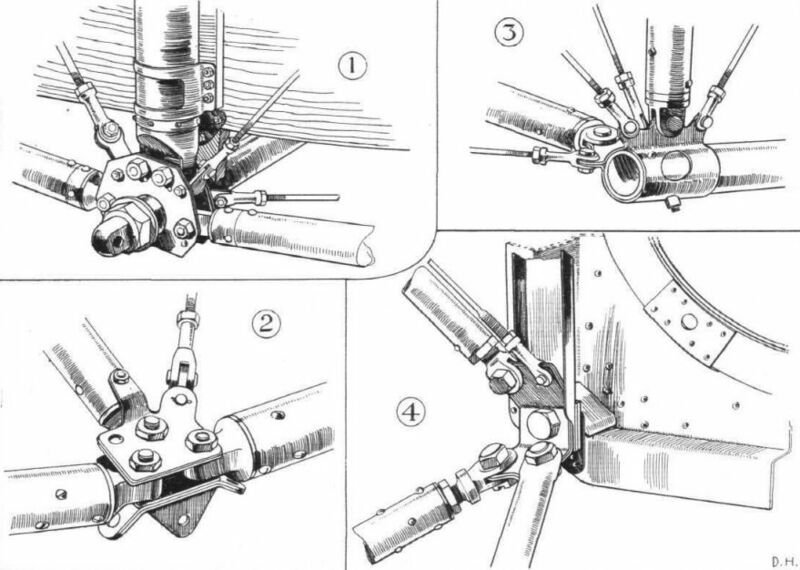 Details of this mounting are illustrated by sketches. 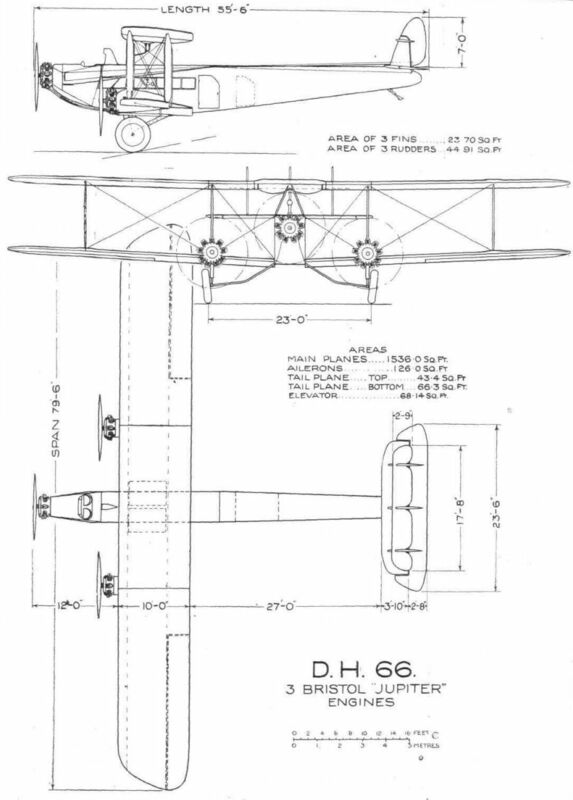 THE D.H.66: Sketch showing the triangulated structure in the lower plane, which carries one of the wing engines. The undercarriage struts are attached to the two fittings at front and rear ends of the longitudinal tube. THE D.H.66: Some spar details. On the left, the distance-pieces separating the spar flanges in the inner bay, and on the right, the same, but in a slightly different form, in the end sections of the wing. 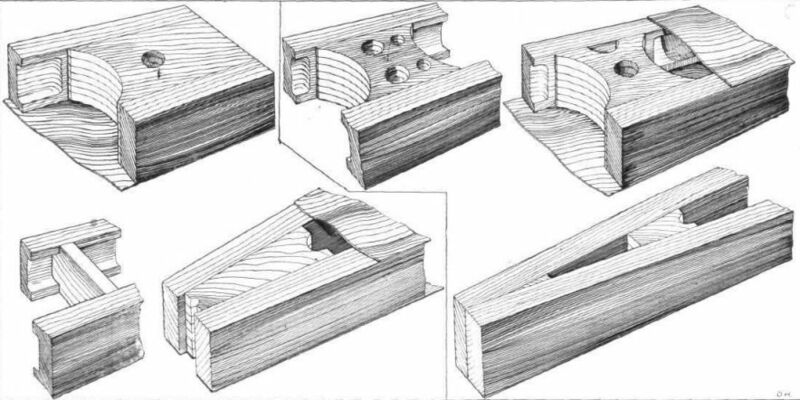 The spars are of spruce, spindled out as indicated, and the distance-pieces are of laminated spruce, while the spar walls are of three-ply. THE D.H.66: Some constructional details. 1, shows the fuselage joint at the point where are attached the front spar of the lower wing and the inner end of the wheel axle. 2 is another fuselage joint slightly farther aft. 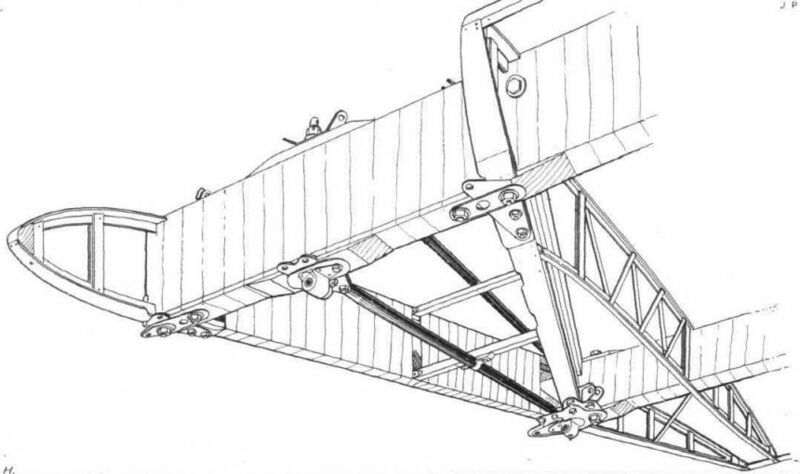 This sketch was made from a fuselage side lying on trestles, and the sloping strut is actually vertical, while the wiring plates visible below the longeron belong to the cross-bracing of the floor panel of the bay. 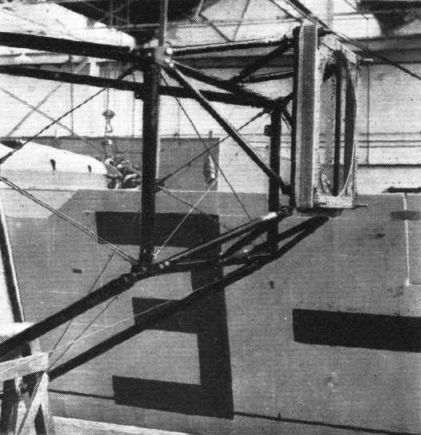 The joints in the rear portion of the fuselage are of the type illustrated in 3. All the steel tube struts and longerons have Duralumin ends, forked or plain, according to local requirements. Some details of the mounting of the nose engine are shown in 4. The engine plate itself is of Duralumin and is very light. It should be pointed out that the sketch is a rear view, and shows the back of the engine plate. THE SUPERMARINE "SWAN" COMMERCIAL FLYING BOAT: This view shows the "deck-cabin," above the main passenger cabin, which forms the business quarters of the machine. It houses the'pilot, navigation, and all controls. 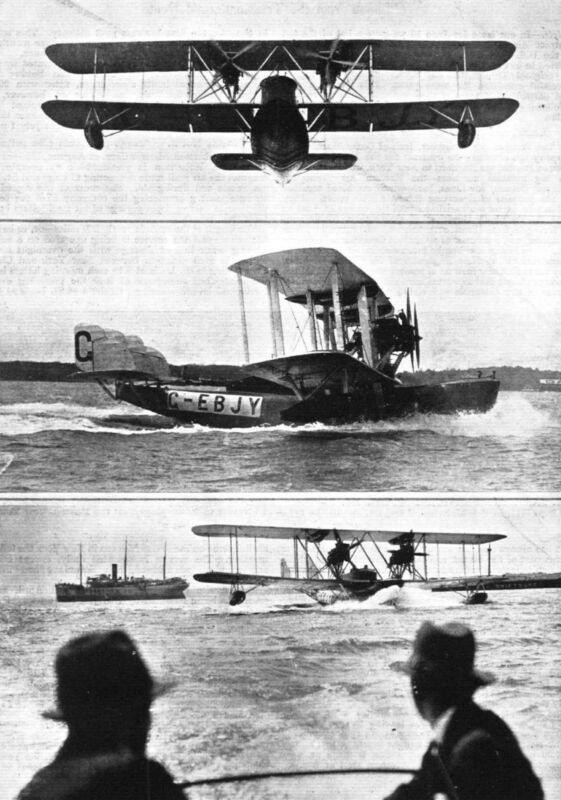 THE SUPERMARINE "SWAN" COMMERCIAL FLYING BOAT: Three views of the twin-engined (Napier "Lion") passenger air liner, taken on the occasion of its recent flying tests at Southampton. 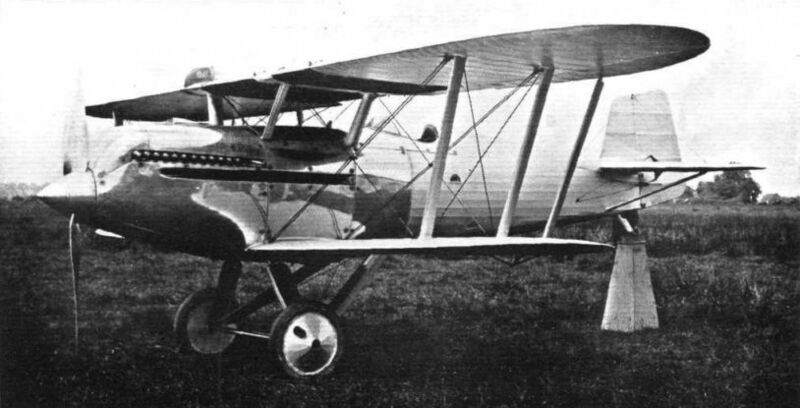 A HIGH-POWER SINGLE-SEATER FIGHTER: The Hawker "Hornbill," designed and manufactured by the H. G. Hawker Engineering Co., Ltd., is fitted with a Rolls-Royce "Condor" engine. This machine, which will take part in the "Fly-past" at the R.A.F. Display at Hendon on July 3, is of exceptionally clean design, and is very fast. A BROADSIDE: Mr. H. H. Perry flying the A.D.C. 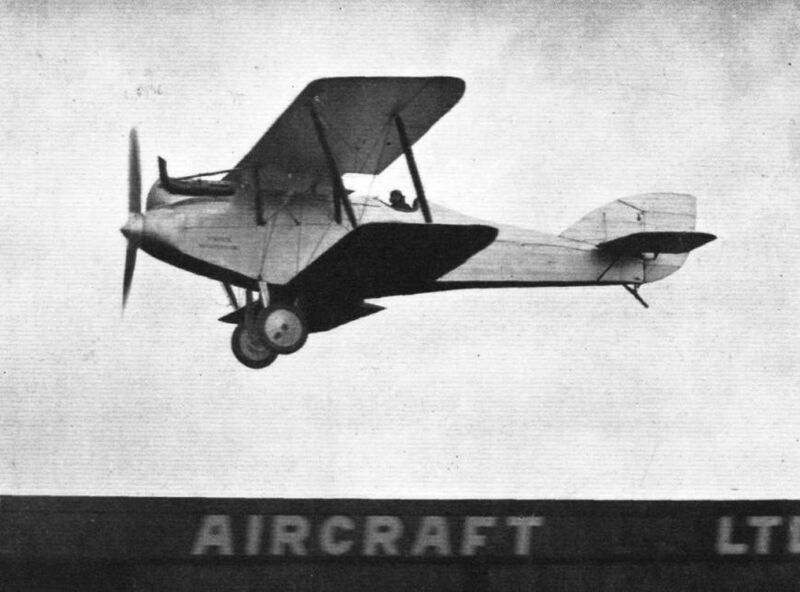 "Nimbus-Martinsyde" at Croydon aerodrome. The neat engine cowling is well illustrated in this view. THE A.D.C. 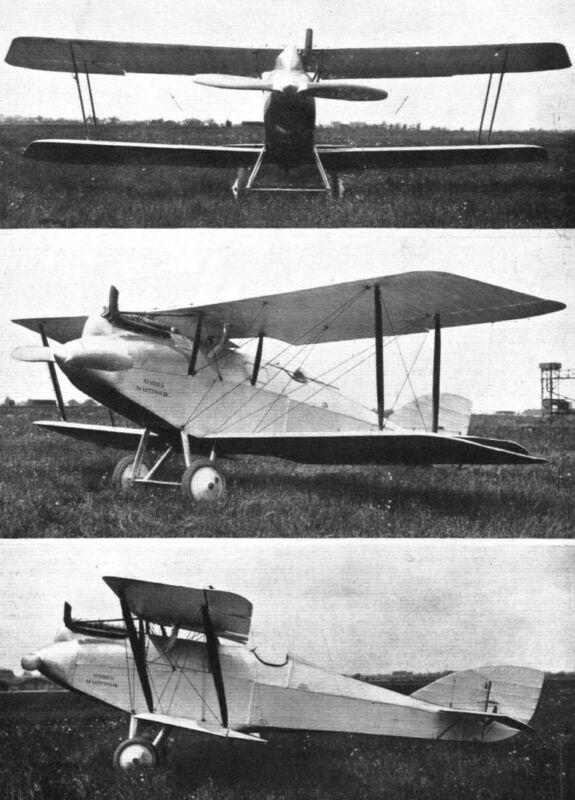 "Nimbus-Martinsyde": These three views of the machine flying, piloted by Mr. H. H. Perry, serve to show the clean lines, especially the front view, the taking of which required considerable nerve on the part of the photographer, as the machine was approaching him "all-out." Mr. Perry "zoomed" about one second after this picture was taken. A POSSIBLE "KING'S CUPPER": A.D.C. 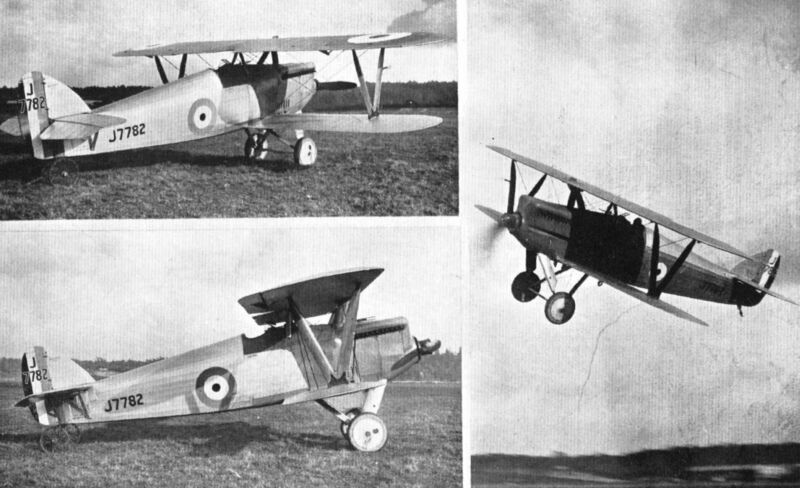 Aircraft, Ltd., have just produced this version of the Martinsyde F.4, fitted with the "Nimbus" engine designed by Major Halford. The conversion has been designed by Mr. John Kenworthy, who has managed to turn out an extremely "clean" machine, which should be useful for advanced training.